Loqi bags of the Museum series are both practical and beautiful. The Loqi bags are foldable, washable and reusable bags, ideal for shopping since the bag can carry up to 20 kg. 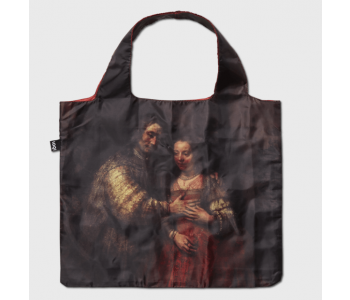 This Loqi is exclusively designed for the Rijksmuseum Amsterdam with a print the masterpiece ‘The Jewish Bride’ by the world famous Dutch painter Rembrandt van Rijn. With this Loqi bag shopping wil never be the same again! 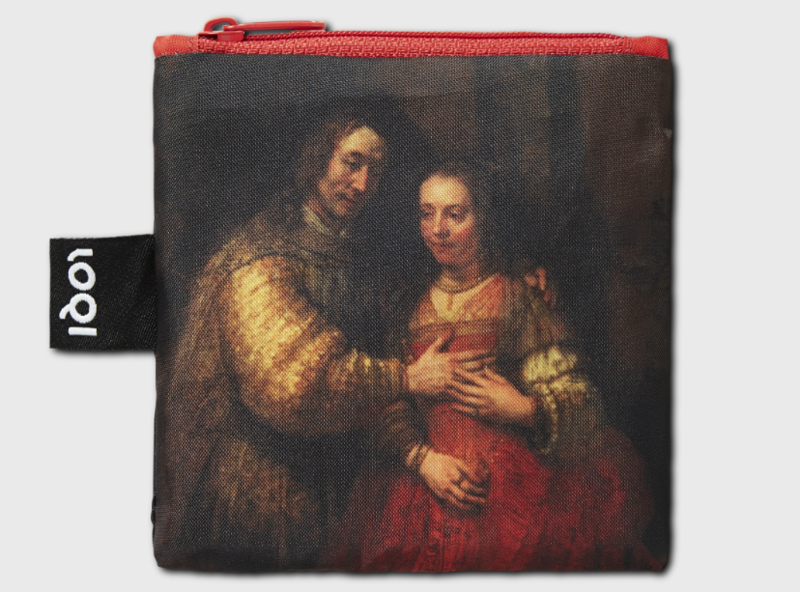 A selection of Loqi shoppers is decorated with prints of works of some of the greatest Dutch artists ever, such as Rembrandt, Vermeer and Mondrian. No doubt that you stand out in the crowd with one of these bags. 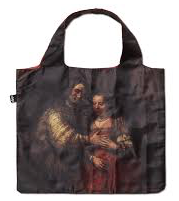 This shopper in printed with the famous painting ‘The Jewish Bride’ by the Dutch painter Rembrandt van Rijn. Just carry such a beautiful painting in your hand. Loqi bags are beautiful, foldable and reusable bags. Due to its light weight of only 55 grams, the spacious format of 50 x 42 cm (h x w), the spacious handle (27 cm) and the material (85% polyester, 15% spandex) The Loqi bag is perfect for on the go and for daily shopping or unexpected purchases. Take the Loqi bag with you during shopping, you can fold it into a tiny package and since you don’t need plastic bags it saves both money and environment. The pouch inside the bag has a zipper and the bag itself is waterproof. Perfect for a rainy day as well. The Loqi bag comes in a convenient matching pouch of 11 x 11.5 cm to store the bag in. Click here to view a video on how to fold the Loqi easily. 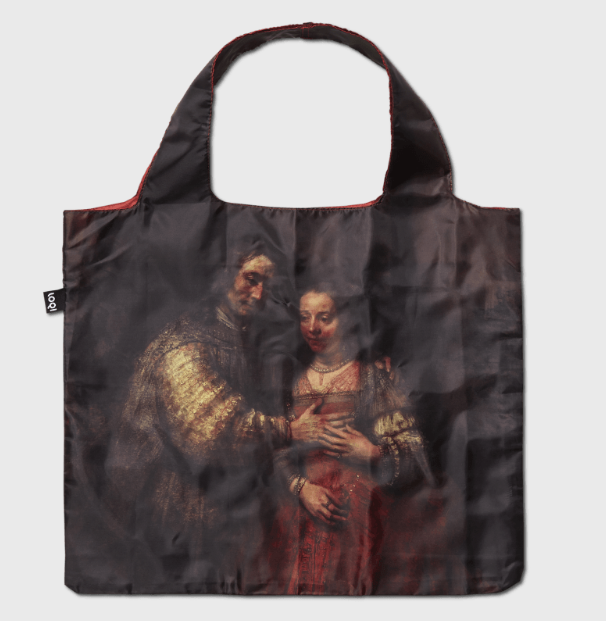 This Loqi bag with ‘The Jewish Bride’ by Rembrandt is part of the Loqi Museum series. Loqi designed this bag exclusively for the Rijksmuseum in Amsterdam, in the top 10 list of Fine Arts Musea in the world. 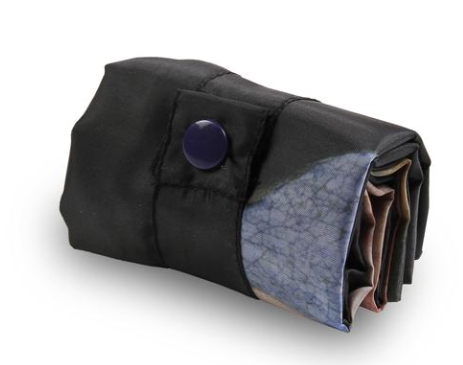 So with this art Loqi bag, you have a pretty unique shopper at hand. The Rembrandt and Vermeer Loqi bags are part of the Loqi Museum series. Loqi designed these bags exclusively for the Rijksmuseum in Amsterdam. With one of these art Loqi bags, you have a pretty unique shopper.